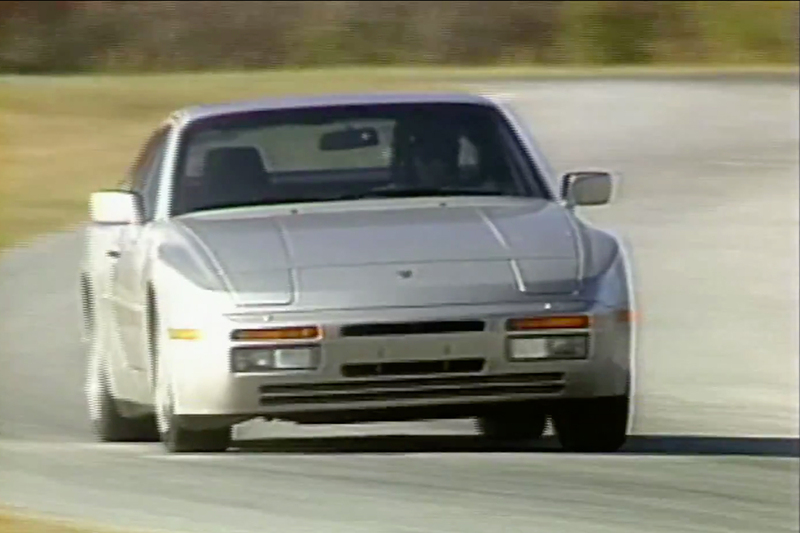 It's "Throwback Thursday" (TBT), and Motorweek has posted its Retro Review of what is arguably the best of the 944 range: the 247-horsepower 1989 944 Turbo. Just how good is the last of the turbocharged 944s? Motorweek states: "Porsche 944 Turbo owners will get a car that's much more than just fast. They'll get a machine in which the suspension and brakes have been carefully tailored to its powerful purpose. They'll get a machine in which all the parts are working in concert. They'll get the best-balanced high-performance car we've ever tested." While the 1989 model (and the special edition 1988 944 Turbo S that it's based on) came with the most horsepower and the best brakes and suspension, it would be a mistake to discount earlier Turbos if you're in the market. Watch the video below to see Motorweek's Retro Review, and then scroll down for a short guide of the various updates Porsche made to the Turbo over the years. 1986 944 Turbo: The year the 944 Turbo was launched. It had a 2.5-liter, turbocharged and intercooled four-cylinder engine that made 217 horsepower and 243 pound-feet of torque. Top speed was advertised as 152 miles per hour. With the engine mounted up front and transaxle gearbox at the rear, the 944 Turbo had nearly 50/50 front/rear weight distribution and very balanced handling. Fixed four-piston brake calipers are mounted front and rear within wheels sized 16 x 7 and 16 x 8, respectively. Ventilated discs are sized 11.73-inches up front and 11.77-in. at the rear. 1987 944 Turbo: In the Turbo's second year, the 944 range received new wheel offsets. 1988 944 Turbo S: ...Porsche offered the limited-edition 944 Turbo S, which initially came only in the exclusive Silver Rose Metalic exterior color with a burgundy interior. Porsche offered the Turbo S in different exterior and interior colors when the initial batch of 1,000 Silver Rose Metallic cars sold out. Horsepower increased to 247, and torque was up to 258 lb-ft. Zero-to-60 mph now took only 5.7 seconds, and top speed was raised to 162 mph. Sportier suspension was fitted, as well as bigger, fixed four-piston brakes. They clamped down on larger 11.97-in. rotors up front, though the rear discs were unchanged at 11.77 in. Wider 16 x 9 wheels were fitted at the rear, while front and rear tire sizes increased 20 millimeters to 225 and 245 mm. 1989 944 Turbo: In 1989, the Turbo S was dropped, but the "regular" Turbo received the same upgrades: 247-hp engine, better brakes and suspension, and bigger wheels and tires. The Turbo S and '89 Turbo command a premium because they're newer and better, but really, any 944 Turbo is a great car. Plus, earlier Turbos can easily reach and exceed stock Turbo S power levels with simple, relatively inexpensive modifications. As with any Porsche, maintenance costs can be pricey — and maintaining a Turbo will cost more than maintaining a naturally aspirated 944 — but by keeping up on maintenance you can avoid most unexpected trips to a repair facility and manage running costs. Search The Mart classifieds (if you're not a member, try our PCA Quest program for access to The Mart), Craigslist, and Porsche forums, and you're sure to find good-condition 944 Turbos for under $10,000. Get your Porsche Parade 2019 items at the Parade Store!